Follow-Me Printing allows you to print to a single virtual print queue, then go to any participating print release station to release your print job(s). Presently, Follow-Me print jobs can be released from any of six different stations on campus; see the list below. Choosing the new FollowMeBW print queue means you can head to the Davis Family Library… or Sunderland… or BiHall. 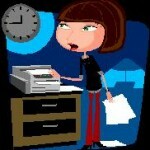 Changing your mind no longer means having to resubmit your print request! 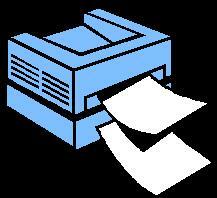 Select FollowMeBW from the drop-down list when choosing a printer. Proceed to any of the six participating print release station locations (see list below) and log on with your Middlebury username and password. Release your print job by clicking “Print” located on the right-hand side. You can print documents to the new FollowMeBW print queue from your personally-owned computer using PaperCut’s Web Print. Please note that you may experience delays using Web Print. For fastest results, submit your print job from a lab computer using the instructions above. Which printers can “Follow Me”? This entry was posted in LIS Staff Interest, Post for MiddNotes and tagged Follow-Me, print, print release, printers on September 19, 2013 by Cynthia Slater. This semester, we’ve been using the Suggestions Board in the atrium of the Main Library to get feedback on how we might be able to save money. We’ve asked library users to tell us what’s most important and what they can do without. The most popular comments so far are, “What’s wrong with the printers?” and “Why is wireless so slow?” Our responses are now posted to Suggestions Board and the LIS Suggestions blog. This entry was posted in LIS Staff Interest and tagged Areas and Workgroups, eNewsletter, printers, suggestions, wireless on November 17, 2009 by Carrie Macfarlane.